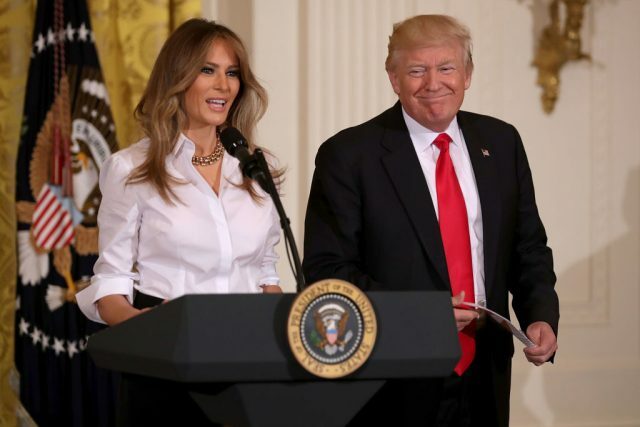 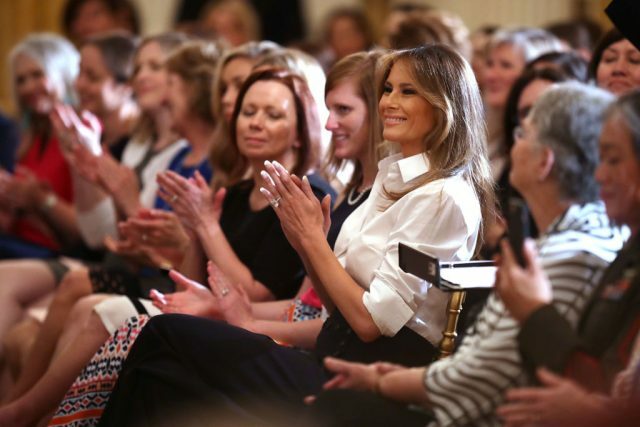 All eyes were on Melania Trump as she hosted an event at the White House National Military Spouse Appreciation Day. 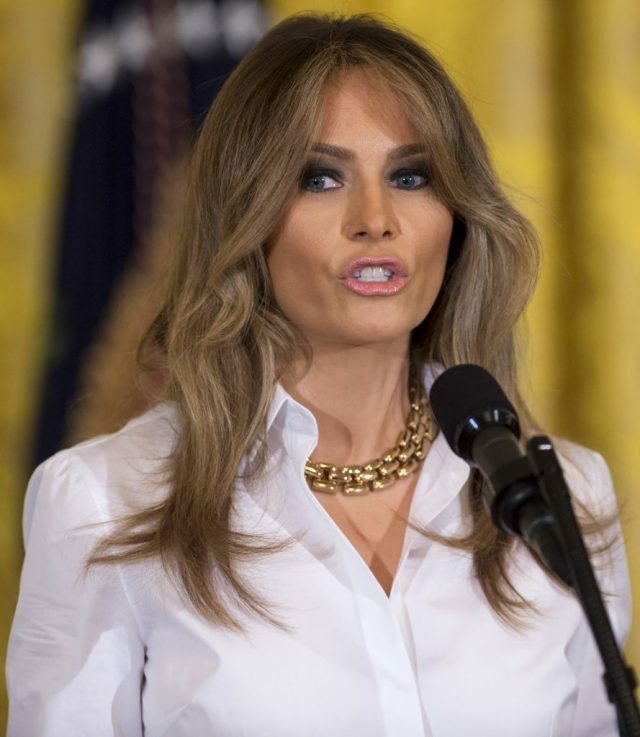 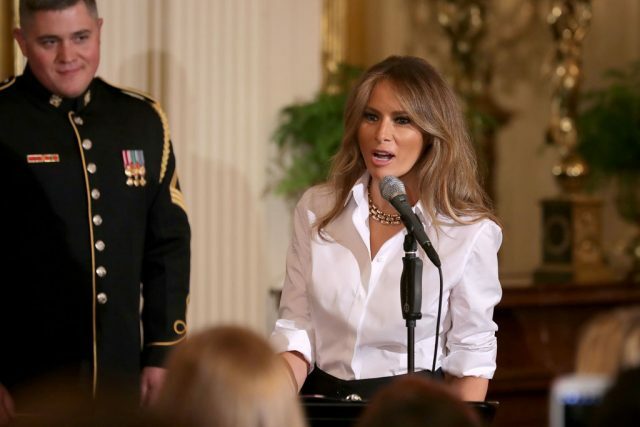 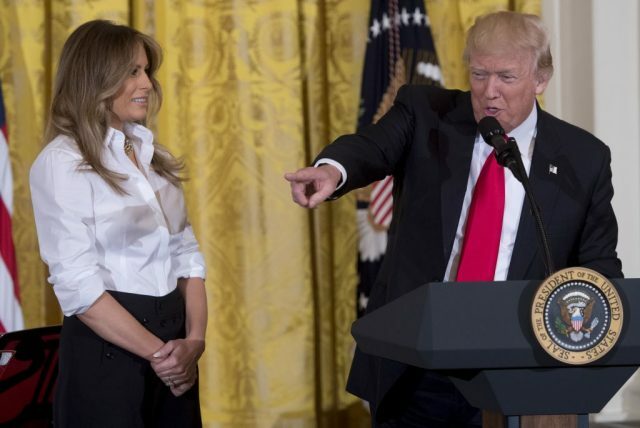 The first lady was dressed in a crisp white shirt and navy slacks as she addressed military family members in the East Room. 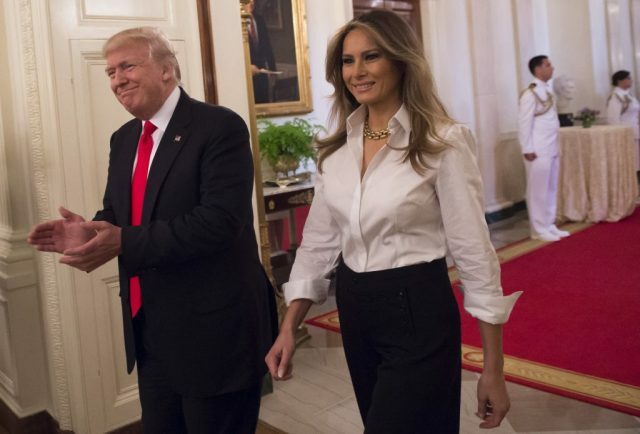 She was joined by President Trump.